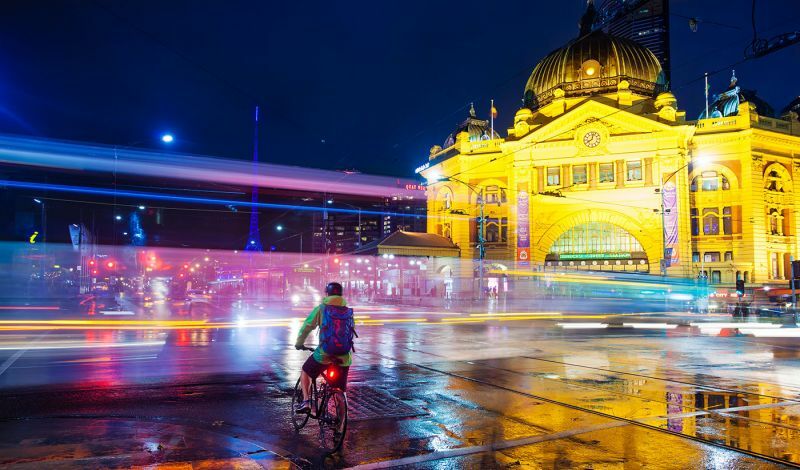 A new series published in The Lancet, led by the University of Melbourne and featuring authors from leading global academic institutions, quantifies for the first time the health outcomes that could be gained through changes to urban design and the transport system. The three paper series, launched today at an event hosted by the United Nations Sustainable Development Society Network in New York, compares six global cities with a variety of livability indexes, economic, land-use and transport attributes. Cites examined include Melbourne, London, Boston, Delhi, Sao Paulo and Copenhagen. With the world’s population estimated to reach 10 billion by 2050, with 75% living in cities, city planning is now being recognised as a part of a comprehensive solution to tackling adverse health outcomes. The series unravels the intersection of urban design, transport and population health outcomes to provide a paradigm shift for approaches to tackle the growing burden of chronic disease and road trauma in our cities. The authors identify the health gains that could be achieved if cities encouraged a modal shift from private motor vehicle use to active transport namely bicycling and walking, and increased public transport use, services and amenities. The research findings offer policymakers evidence that substantial health benefits can be achieved for urban populations by adopting different approaches to urban and transport policy and planning. The Series lead, Professor Mark Stevenson, an epidemiologist and Professor of Urban Transport and Public Health at the University of Melbourne, said momentum and awareness is growing around the health and well-being benefits available through changes to city planning and transport modal shift. “This research has considerable implications for policy change. By quantifying the need for integrated city planning and its focus around modal choice for cities, it emphasises the need for sustainable transport that will deliver health gains for the future,” said Professor Stevenson. The first paper of the series, led by Professor Billie Giles-Corti, Director of the McCaughey VicHealth Community Wellbeing Unit within the Melbourne School of Global and Population Health, identifies eight integrated interventions that, when combined, encourage walking, cycling and public transport use while reducing private motor vehicle use. These include having services and facilities within walking distance, a mix of employment and housing across the city, reducing the availability and increasing the cost of parking, infrastructure that supports safe walking and bicycling, open spaces, reducing distance to public transport, and making neighborhood’s safe, attractive and convenient for public transport. “We concluded that focusing on walking and cycling infrastructure alone is critical but not enough – to create cities that promote health needs joined-up policies and input across multiple sectors: land use, transport, housing, economic development, urban design, health and community services, and public safety,” Professor Giles-Corti said. The second paper in the series proposes a ‘compact city’ model that incorporates health-inclusive urban planning interventions. The model is based on a 30 percent increase in land-use density, a 30 percent reduction in distance from public transport, a 30 percent increase in diversity of land-use with a 10 percent shift away from private vehicle use. “Adopting the compact cities model, that places an emphasis on active transport, provides a huge reduction in chronic diseases burden, particularly respiratory and cardiovascular disease and Type 2 diabetes. The provision of safe infrastructure for active transport also reduces road trauma and transport related particulate emissions,” Professor Stevenson said. For Melbourne, this would result in improved health outcomes, with a 14% reduction in Type 2 diabetes and a 19% reduction in cardiovascular disease, and resulting in 622 healthy years of life gained for 100,000 residents. “Compact cities will help reduce the environmental, social and behavioural risk factors that affect lifestyle choices, levels of traffic, environmental pollution, noise and crime,” said Professor Stevenson. The final paper in The Lancet series focuses on how data can guide city-planning policy and practice to create compact cities that promote health. The findings provide a blueprint for achieving a number of the United Nations’ Sustainable Development Goals that include promoting healthy living by making cities inclusive, safe, resilient and sustainable. The series argues that despite calls for action, changing the way cities are planned, built and managed will require bipartisan political leadership and community engagement.